More money and production capacity were needed. Now it has both. Earlier this month it was announced that Koenigsegg signed a $320 million deal with National Electric Vehicle Sweden	AB (NEVS), a Chinese-controlled company with production headquarters in Sweden that previously purchased the assets of bankrupt Saab in 2012. Not only will this deal provide Koenigsegg with a serious cash infusion, but also the capability to dramatically boost production. According to Bloomberg, Koenigsegg is planning to increase by hundreds the number of hypercars it builds annually by 2022. Eventually, the goal is to get that figure into the thousands. To date, it has only produced a few per year, all of which were to order. The new deal, however, potentially puts Koenigsegg on a collision course with the likes of Ferrari, though it will take time to match the latter’s 9,000 unit yearly output. But you also have to remember that Koenigsegg is a very young company with a very young owner and founder. Christian von Koenigsegg, 46, founded the company that bears his name in 1994. The first street-legal supercar didn’t go on sale until 2002. 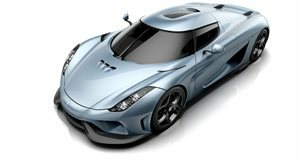 Along with producing hand-built hypercars costing up to $2 million a pop, Koenigsegg is also a technological innovator. It develops and builds a vast majority of its cars’ components in-house, including carbon fiber bits, engines, chassis, and wheels. That’s actually highly unusual for a company with only 225 employees. Von Koenigsegg also hopes to see many of these technologies trickle down to more mainstream cars one day. And yet Koenigsegg has long proven itself on the world stage. In November 2017, for example, its now retired Agera RS set a production car world top speed record of 277 mph. The Agera’s still unnamed successor will debut next month at the Geneva Motor Show. Some aspects of Koenigsegg’s new deal with NEVS are still being worked out, but the latter already does own the former Saab factory in Sweden, which once employed 8,000 people and produced as many as 200,000 cars a year. 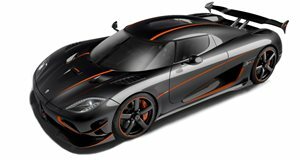 See why von Koenigsegg is so excited these days? He now has both the financial and production capabilities to, one day, become a major player in the global supercar and automotive technology sector. Even Ferrari had to start from somewhere.